Don't have your own diving equipment (with you) but you would like to dive? No problem. 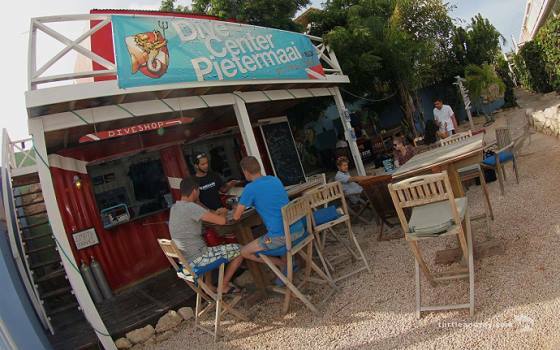 You can also rent diving and snorkeling gear here. Our equipment is in top conditions, regularly inspected and routinely replaced when worn out. We can also assist you if you're looking to buy a mask or snorkel. Confused? Need some advice? Don't worry. We are here to assist you in choosing the right dive equipment, for your needs and budget. All prices are in US$ and incl. tax. Take Scuba Lodge with you wherever you go! We sell T-shirts and key-chains with our logo. You can find these in our dive shop, and at the front desk of our hotel.